Golf is the most frustrating, yet rewarding activity known to man! This is a bit of an exaggeration, however if you talk to a golfer, it may be more real than you would expect. But, now and then something special happens and our enthusiasm for golf grows exponentially. This moment for me came in 1992. It was my second year of making the CFB Borden Base golf team and another chance to play at the Ontario Golf Regional Competition. It was an exciting opportunity to take my game to the next level. But, I did not know how. In walks my old mentor Bob Fortune! I have talked about Bob Fortune before and he made one of the most important contributions to my golf game that has lasted the test of time. Bob was our team Captain and he was one of the best golfers in the Canadian Military for years. 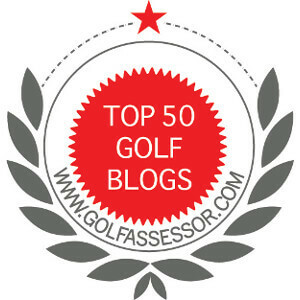 Having regular access to this incredible resource was a boon for my golf game. Luckily, Bob was open to talking golf and helping out an up and coming player working to improve his game. After several rounds together, he sat me down to talk about my possible way ahead. We discussed improving my short game and working on course management. I used many of these tips through the years with great results, however none of these created the defining moment that changed my game. As we prepared for the upcoming competition, he told me to focus on one thing and one thing only: hit enough club on my approach shots to ensure my ball landed pin high! During our practice rounds, Bob noticed that well over 75% of my approach shots came up short. I am not suggesting I was short by a couple of feet, but by yards. I had never noticed because I thought I was doing the right thing by playing safe. Bob told me that by being playing more aggressive I would be able to lower my scores and improve my overall consistency. Because the advice came from Bob, I immediately changed how to play approach shots. Immediately, I noticed positive results that I follow today! At the Regional tournament Bob’s advice was driven home with a sledge-hammer. I was 2 over after 5 holes on the first round. Mostly, my poor play was a result of two – 3 putts and not Bob’s advice. Standing on the tee, Bob’s advice was resonating in my mind. The hole was a par 3, 178 yards into a slight breeze. Normally, I would hit a 5 iron, but on that day I decided to become more aggressive. Grabbing a 4-iron, I stepped over the ball and aimed directly at the pin. I had to carry the ball at least 165 yards and looking back, a miss hit 5-iron would have put me in the cabbage. With the extra club, I knew I only had to swing smooth and focus on my landing area. After crisp contact, I saw that my ball flight was a bit right, but on a good line. My ball landed 8 feet short and 4 feet left of the pin. Happy with the results, an amazing thing happen. Upon contact with the green, my ball shot right on the perfect angle and hit the pin! Even more amazing, the ball it the pin square in the middle and dropped into the hole. It was my first hole-in-one! So there you have it; on of my defining moments in my golf career. I was fortunate that Bob was my mentor and as a direct result of his tutelage, I am a better golfer today. Thanks Bob, I am forever grateful! Golf rule # 2: Just like a putt can’t fall if you don’t get it to the hole, neither can your shot to the green drop if it doesn’t make it to the flag. I’ve only got one hole in one and that came back in 2002. Like you it was with my 4 iron at what we decided was 181 that day in a slight cross breeze and over a lake. The ball went off a bit left then faded right into the bank on the green and followed the ridge right to the hole. I had my neighbor there and one of my coworkers to witness which made it special. Then the course lost my card after they had me turn it in to get a plaque. Since then I’ve never holed out from the tee, but I’ve holed out from 125 yards and in about 7 times just this year. Three of those on the same par 5 hole that doglegs around a lake. More important though is I’ve come close from the tee and from the fairway dozens of times. Short putts for birdie rule!! I wish I was there to see your hole in one. It sounds amazing! Never up, never is a mantra I continue to use (and sometimes learn) while playing golf! Thanks for your story.